InstaSaver is a free app to Download Instagram Videos on Windows 8 and 8.1 computers. There are various Instagram client Apps that let you view Insta pictures and save images. But, there’s this new feature in Instagram, which lets users upload and view short videos on Instagram. So, if you were wondering how to download these videos on your Windows 8 device, then this article will answer you. The process is simple and pretty easy. Go through the article to know more about the app and to know How to download Instagram videos on Windows 8. Instasaver can be found easily on Windows App Store. You can click on the link provided below to access the InstaSaver page. Or go to Windows App Store and search the app by its name. Its an extremely light app and requires 1.75 to 2.3 MBs of space, depending on the device its installed on. Click on the Install button on the page to automatically download and install this app to download Instagram videos on Windows 8. To save Instagram videos, you will have to open the Instagram account from where you want to download the video. Now locate and open the video you want to download. Open the video in a new tab and copy its URL. You can also copy a video’s URL on Instagram App. Click on the options button with 3 dots. Select the Copy URL option. Here you can choose to save video on PC, OneDrive, or on local network. Select the folder to save the video, then enter a name for the video, and click Save to download Instagram video on PC. Pretty simple, isn’t it? Normal Instagram videos can only be viewed in small windows. This App to download Instagram videos, lets you watch Instagram videos in fullscreen. 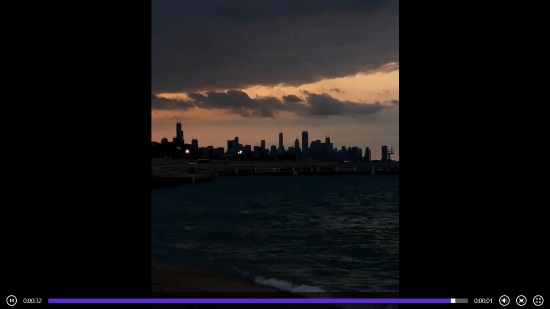 Click on the Fullscreen toggle button to see Instagram video in fullscreen. Volume controller is also available. This app to download Instagram videos on Windows 8 is easy to use and is very lightweight. One can use it to download and view favorite videos from Instagram. 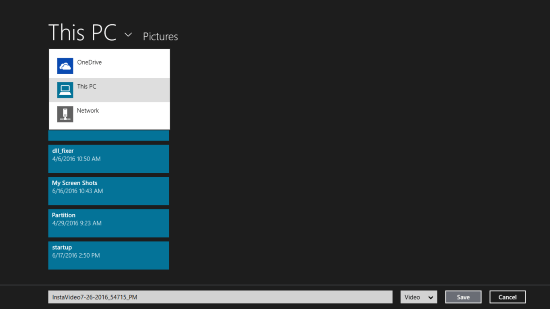 Download InstaSaver for Windows 8 and 8.1 computers.